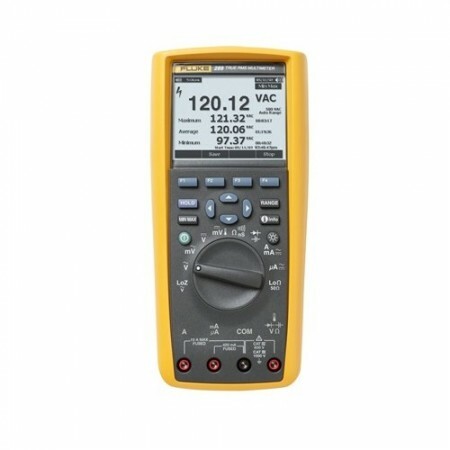 The Fluke T6-600 Electrical Tester with FieldSense technology lets you measure voltage the same way you measure current, without test lead contact to live voltage. 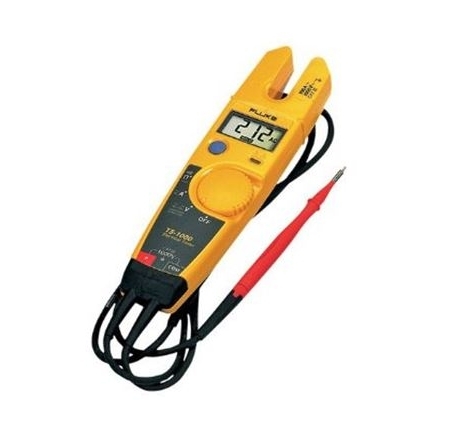 Just slide the open jaw over a conductor and see the voltage level. 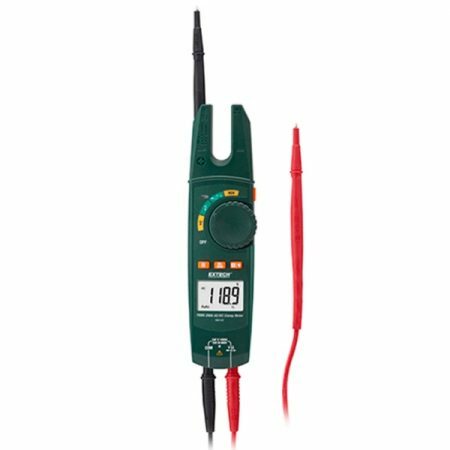 Much more than just a voltage detector, these new testers give you a reliable voltage and current measurement, without test leads, and without contacting a bare, metal conductor. 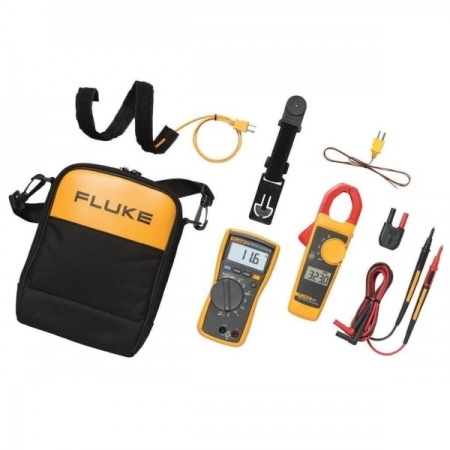 The Fluke T6-600 Electrical Tester with FieldSense Technology lets you test where it used to be impossible. Crowded junction boxes, conductors with inaccessible end points, all without test leads! Be Safer: Measure voltage to 600V ac through the open fork, without test leads. 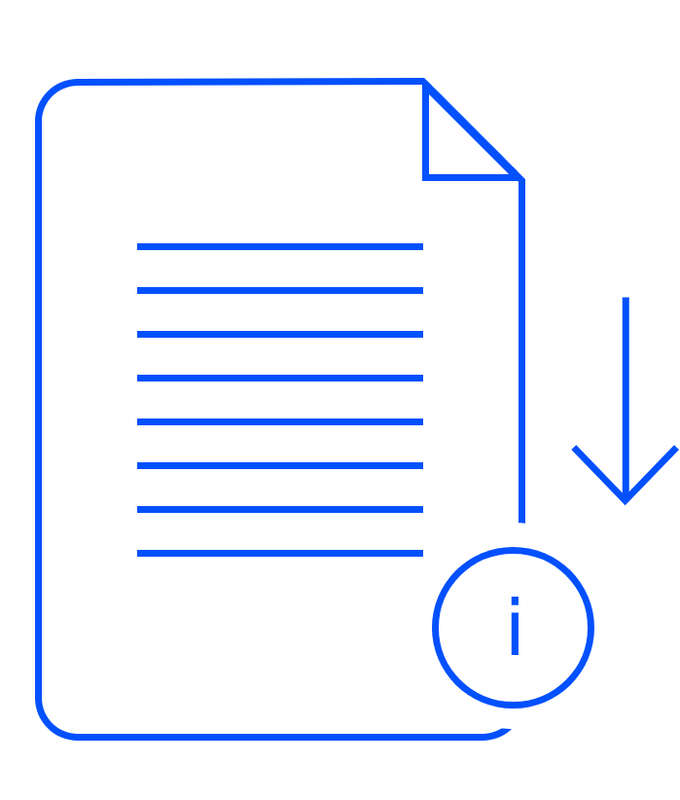 Be Faster: No need to open safety covers or remove wire nuts. 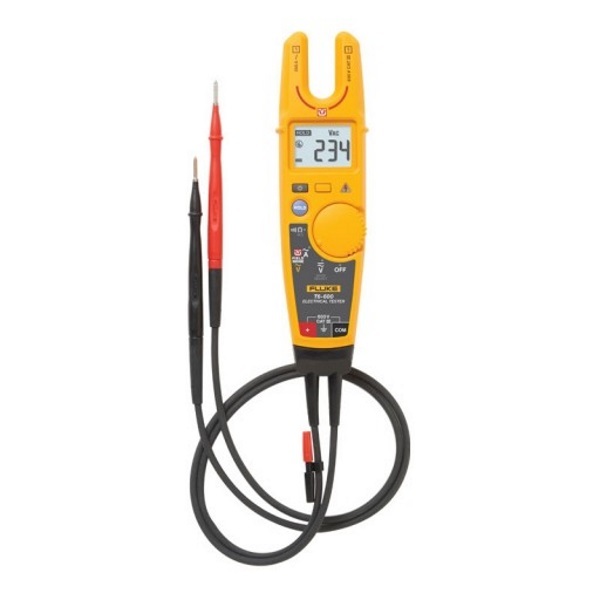 Be Everywhere: Widest open fork in the industry, measure 120 mm² wires up to 200 A. *Requires capacitive path to ground, provided through user in most applications. 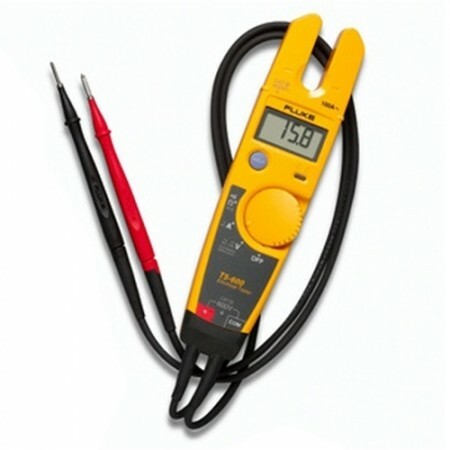 Ground connection via test lead may be required in some situations. 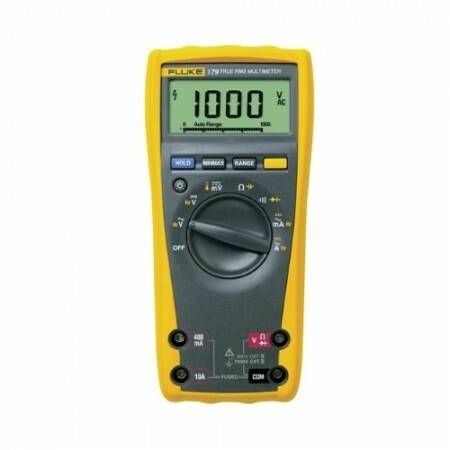 + Requires capacitive path to ground, provided through user in most applications. 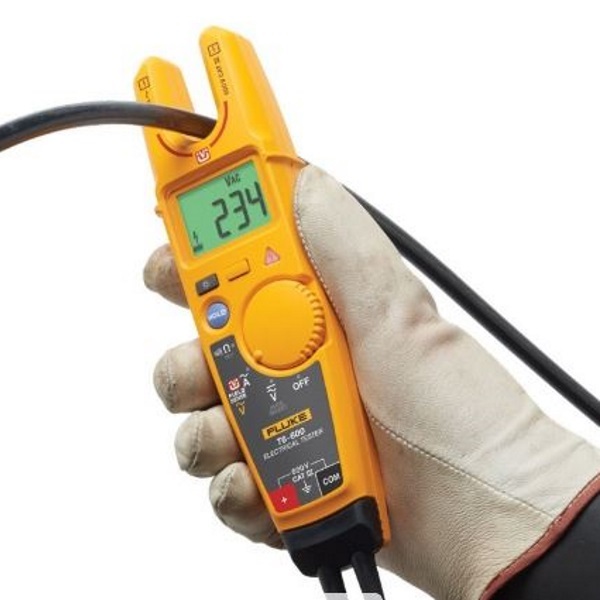 Ground connection via test lead may be required in some situations.